The TRS supremo and chief minister of Telangana K. Chandrasekhar Rao is moving heaven and earth to win 16 of the 17 Loksabha seats in the state so as to play a key role in national politics by handing over the mantle of power in the state to his son and the heir apparent KT Rama Rao. The remaining one seat, the TRS is facilitating the victory of its ally MIM, whose chief, Asaduddin Owaisi is in the electoral fray to retain his Parliamentary seat. In fact, the TRS fielded a Hindu candidate in the name of a friendly contest to facilitate a division in the anti-MIM vote and help in the consolidation of the Muslim vote in favour of MIM. Thus by winning all the seats in the state, KCR wants to ensure that the transition of power in the state to his son will be smooth without any possible dissent, besides having an advantage in the national politics. 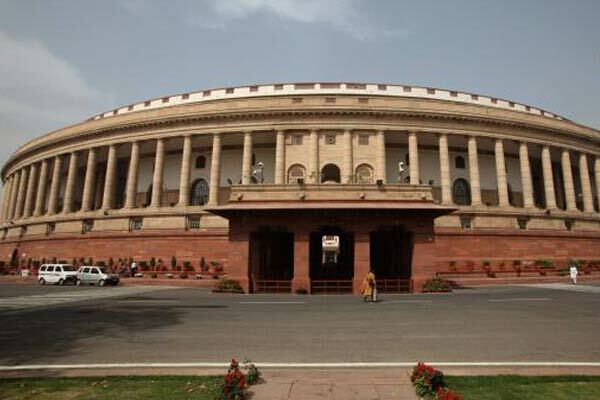 The immediate trends available on the possible outcome in the 2019 Lok Sabha polls is that the BJP led NDA may lose seats which it won in 2014, while the Congress-led UPA may not fully measure up to the expectation. Precisely here the non-Congress, non-BJP regional satraps play an important role in shaping the national agenda. KCR wants to exploit such a situation in Delhi with 16 seats in his kitty. The unprecedented victory in the 2018 Assembly polls gives further boost to poll prospects of TRS in Lok Sabha polls too. In the assembly elections, the TRS got a lead in 14 out of 17 Lok Sabha segments. 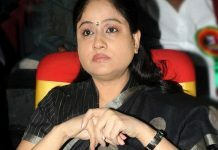 The Congress led prajakutami could establish only a marginal lead in Khammam and Mahabubabad seats. In the remaining 14 Lok Sabha segments, the TRS margin ranged from one to three lakh votes. Now, the prajakutami is in shambles thus benefitting the TRS. The further weakening of the opposition due to Operation Aakarsh is expected to give further fillip to KCR’s hope of winning 16 out of the 17 seats. The substantial erosion of the Congress party due to demoralising defeat followed by crippling defections further emboldened the ruling TRS. The almost disappearance of TDP from the political map of Telangana, the gradual weakling of the Left, the rout of BJP that failed to win its sitting seats make the TRS unassailable. KCR wishes to capitalise on this prevailing political and electoral contours of Telangana. 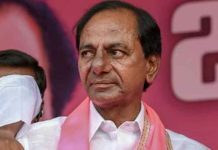 To legitimise his anti-Congress, anti-BJP political stand and dispel the impression of him being a secret ally of the saffron brigade, KCR forged the idea of Federal front of comprising the smaller and the regional parties. Yet the response is still largely non-committal as the regional parties are also unsure of the post poll arithmetic. These regional parties which are invited into the Federal Front are still not inclined to leave either BJP or the Congress. However, KCR is of a firm opinion that the attitude of these smaller and the regional parties would undergo a substantial change post-election. In case if he fails to hoist Federal Front on the Indian political horizon, having 16 seats in his kitty helps him to call the shots irrespective of either NDA or UPA in a position to form a government with the support of regional parties. 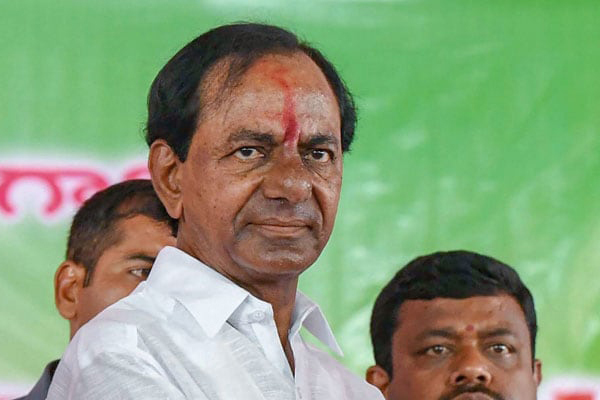 Besides selling a national political narrative in the form of non-BJP, non-congress federal front and the talk of a national party, TRS is turning this election too into a sort of referendum around KCR. 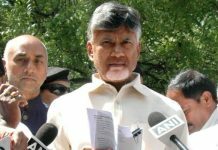 This strategy paid a rich dividend in the recently concluded Assembly elections as the opposition failed to project a leader of KCR’s stature. The TRS and its chief are spinning their electoral campaign around the benefits of Telangana if TRS wins 16 seats. The TRS is adept at electioneering around Telangana sentiment. Meanwhile, KCR’s strategy of delinking Assembly and Lok Sabha polls by resorting to premature dissolution of the house has paid rich dividends. By doing so he ensured that the national political agenda will not cloud the state specific issues. Now, with the power at the state, it became easy for the TRS to conduct electioneering in the Lok Sabha elections. Previous articleRs 1250 cr scam – charges against YCP Vizag West candidate? Next articleMohan Babu committing massive education fraud under a mask?